TORONTO, ON., (February 14, 2014) – From great tunes to breathtaking tuners, there’s something for everyone in the Scion booth at the Canadian International Auto Show (CIAS). 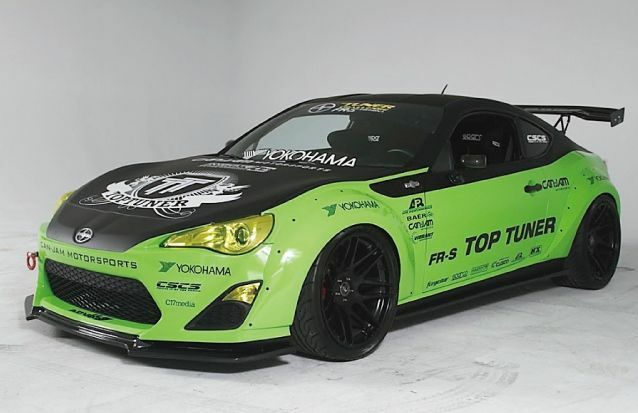 The headline attraction is “Top Tuner” – the winning team of this year’s Scion Tuner Challenge FR-S edition. Created in 2005, and led by Edmund Manasan, Top Tuner has played a pivotal role in development of some of the industry’s most recognized show cars. Saturday, February 15 – 10 a.m. to 6 p.m.
Sunday, February 16 – 10 a.m. to 6 p.m.
Monday, February 17 – 10 a.m. to 6 p.m.
Saturday, February 22 – 10 a.m. to 6 p.m. There will also be two other special tuner vehicles on display – a Tuner tC and iQ built by Evasive Motorsports that won the U.S. version of the Tuner Challenge. Evasive custom-built almost every body panel on the exterior, while tailoring the cockpit with Sparco racing seats, custom carbon dash, an 11-inch touchscreen display, and Defi gauges. While checking out these and the other exciting Scion vehicles on display, visitors will be treated to a live DJ spinning some great tunes during the show’s busiest times. The DJs will also be handing out music cards that enable visitors to download an exclusive Scion Sessions music compilation featuring hot new music from Canadian artists. Other giveaways at the booth include bags, posters and the newest edition of Scion Magazine. To top off their visit, visitors can enter the Scion “What Moves You Contest.” As a passionate brand with unique vehicles, Scion invites its fans to share what’s special to them, what inspires them, and what they’re passionate about. Entering brings a chance to win $5,000 cash. CIAS visitors will find the Scion booth on the 800 Level of the South Building of the Metro Toronto Convention Centre (MTCC). The auto show runs February 14-23.